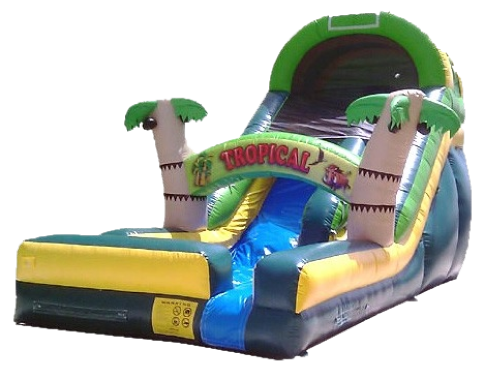 Beat the heat with our 18' inflatable Tropical Wet & Dry Water slide. 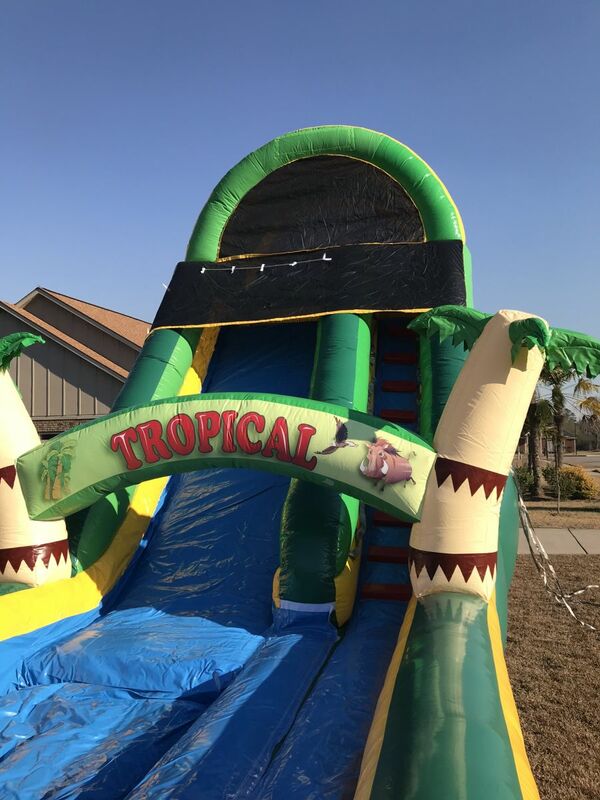 This slide can be used as a water slide or a dry slide. 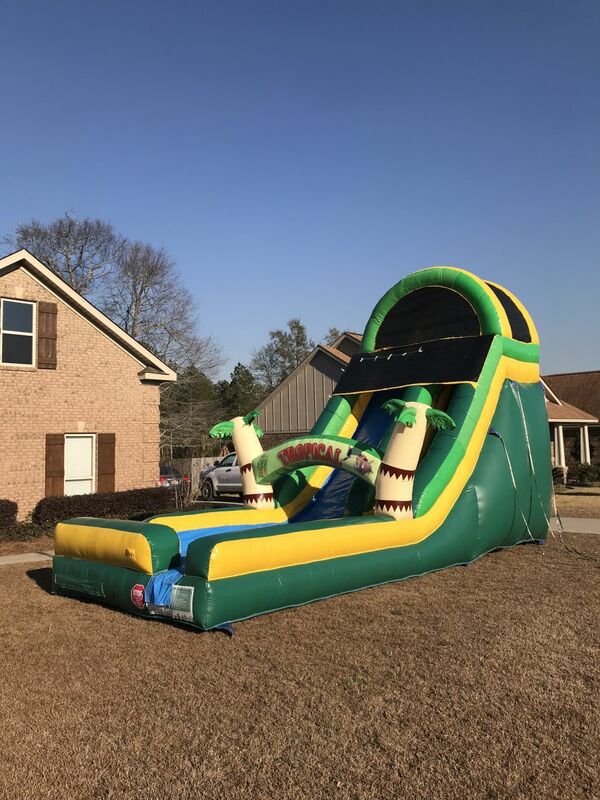 If you would like to use this as a water slide, please select this product under the "Water Slide" selection to make sure we bring the sprinkler with it. 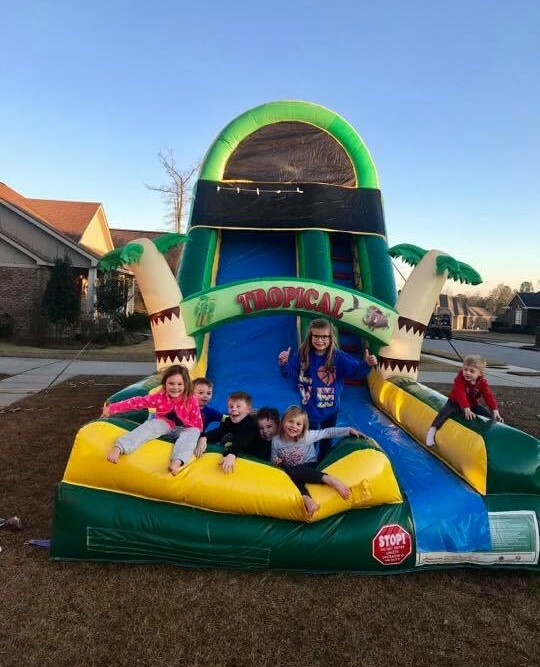 There is an additional cost for this slide to be used with water due to additional cleaning we must do after the rental. We offer free delivery to North Mobile county (Saraland, Satsuma, Creola, Chickasaw, Eight Mile, Turnerville, and select areas of Mobile).